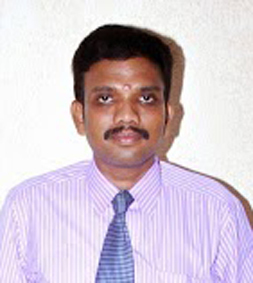 To expertise and contribute significantly to the information industry. To be a partner with local, state, national and international entities in education and research. To nurture our grandaunt's interpersonal and entrepreneurial skills. To provide individual attention and take care of character building. Educating students to become astounding individuals. Imparting world class quality technology in the department. To provide students with the fundamental knowledge and problem solving skills in Computer Science required for a fulfilling career. To create and disseminate knowledge to improve Computer Science research, education and practice. PEO 2: Analyze real life problems, design computing systems appropriate to its solutions that are technically sound, economically feasible and socially acceptable. PEO 3: Exhibit professionalism, ethical attitude, communication skills, team work in their profession and adapt to current trends by engaging in lifelong learning. PO1. An ability to apply knowledge of computing, mathematics, science and engineering fundamentals appropriate to the discipline. PO2. An ability to analyze a problem, and identify and formulate the computing requirements appropriate to its solution. PO3. An ability to design, implement, and evaluate a computer-based system, process, component, or program to meet desired needs with appropriate consideration for public health and safety, cultural, societal and environmental considerations. PO4. An ability to design and conduct experiments, as well as to analyze and interpret data. PO5. An ability to use current techniques, skills, and modern tools necessary for computing practice. PO6. An ability to analyze the local and global impact of computing on individuals, organizations, and society. PO7. Knowledge of modern issues. PO8. An understanding of professional, ethical, legal, security and social issues and responsibilities. PO9. An ability to function effectively individually and on teams, including diverse and multidisciplinary, to accomplish a common goal. PO10. An ability to communicate effectively with a range of audiences. PO11. Recognition of the need for and an ability to engage in continuing professional development. PO12. An understanding of engineering and management principles and apply these to one’s own work, as a member and leader in a team, to manage projects. CSE department has received an award of "Best Compliance Student Branch Award" from Computer Society of India in the year 2012. CSE department has been received an award of "Largest Student Branch Award" in the year 2011. Qualified and Experienced team of faculty members with varied experience in areas of System Software, Computer Architecture, Artificial Intelligence, Mobile and Computer Networks, Object Oriented Design, Computer Graphics and Image Processing, Distributed Computing, Database Management System, Multimedia and Neural Networks. Department has undertaken one AICTE and one DSDRO Sponsored research projects. Faculty members are carrying Research work in the areas of Data Mining and Cloud Computing. More than 100 technical papers presented by the faculty in various national and international journals and conferences. Industrial visits are also organized apart from the industrial tour to the students. · Located in the IT/CSE block with the built-up area of 4493 Sq. m.
· Guided by a team of 23 well-qualified, experienced and dedicated faculty members. Core 2 Duo & Pentium IV Clients – 215. 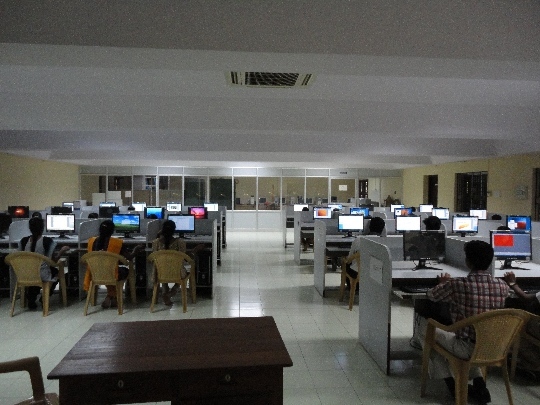 Computers are attached to the centralized server through structured cabling using ECAT5 cables and TYCO fiber module software manageable switches. Internet access has through 10 Mbps BSNL Leased Line & CISCO 1700 series router. Networking tools and Web Development Software. Our College has been recognized as an International Collaborator to the following universities. § Dr. G. Wiselin Jiji, visited as Visiting Professor in University of Nevada Los Vegas for a period of 3 months from Dec 2010 to Feb 2011. § Dr. G. Wiselin Jiji, visited as Visiting Professor in Kingston University London for a period of 2 months from Oct 2011 to Nov 2011. § Dr. G. Wiselin Jiji, visited as Visiting Professor in University of Hamburg Germany for a period of 2 months from Nov 2012 to Dec 2012. § Dr. G. Wiselin Jiji, delivered a talk on Enhancing Research through Intelligent Techniques in Medical Imaging on Nov 18, 2011 at Quantitative Medical Imaging International Institute, Kingston University, London. § Dr. G. Wiselin Jiji, delivered a talk on Segmentation of Lesions in MRI Images on Dec 1st, 2012 at University of Hamburg, Germany.